Wally’s Answer: Its not a good feeling to boot up your computer only to find out that your files have been encrypted and you’re no longer able to go on with your daily tasks. This isn’t just a simple virus. Even when you’re able to get rid of it, the files may not be usable. The user is not able to access their data. Windows starts to an error similar to the one below. CryptoLock is a ransom trojan virus. It was first found in 5 Sep 2013, and is known to have been stopped on May 2014 in Operation Tovar, but now CryptoLocker clones are infecting computers. How Does CryptoLocker Infect a Computer? CryptoLocker clones spread in many different ways, usually through email attachments. The email is made to appear like its from a legitimate company. The attachment may be something like a .PDF file which is actually a .EXE file with a different icon. Users launch these files without even seeing the .exe extension because it is usually hidden by default. 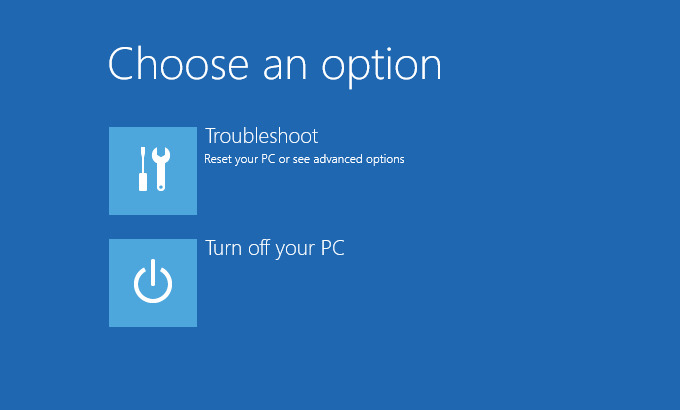 Once launched, it installs itself and edits the registry to launch every time Windows starts. It also encrypts certain types of files in all hard drives connected to the computer, and asks for money. Should You Pay The Money? 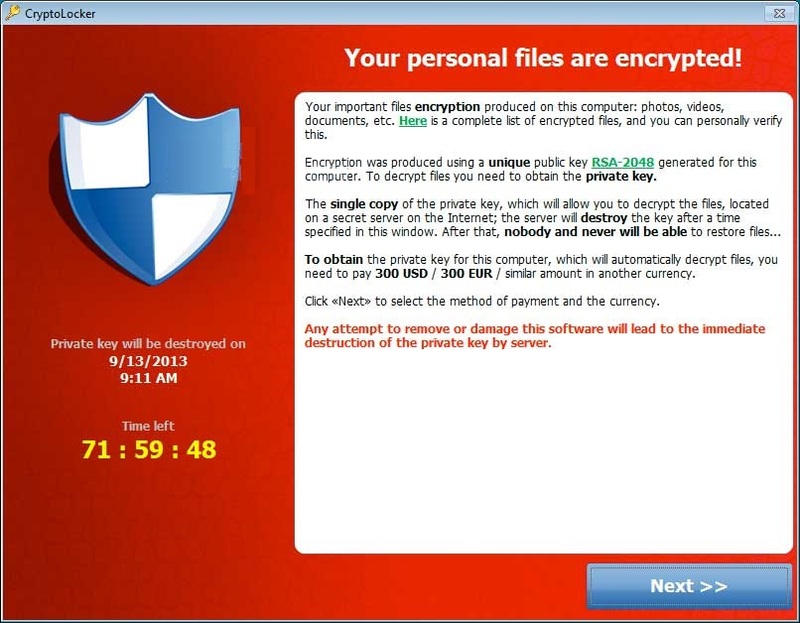 CryptoLocker can be removed easily. However, the encrypted files are not recovered so easily. Most security experts agree that you should never pay these criminals. Some believe that you should pay them if the files are valuable and you don’t have a backup. However, some people have paid the ransom and still didn’t get access to their encrypted data. How To Remove CryptoLocker from Windows 10? 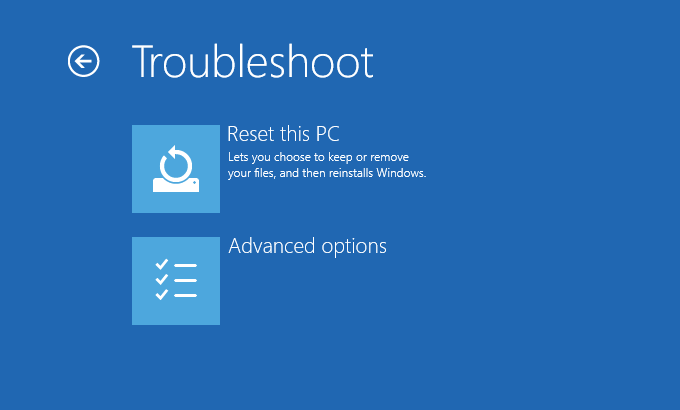 Restart Windows 10 (or 8) in Safe Mode. Click the Power button and click the Restart button while holding the Shift button on the keyboard. Download and install Malwarebytes by using the Chameleon installer. Update Malwarebytes and scan your computer for viruses. As for your data, I hope you had most of your important data backed up.